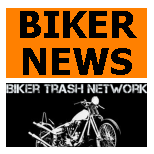 SAINT CHARLES, CANADA (October 12, 2016) The head of the Black Pistons motorcycle club, described by family as “kind and compassionate,” will spend over seven years in jail for his role in a large drug smuggling operation. While Judge Joseph Henderson noted Randy McGean has a strong and supportive relationship with his family, he said the father of three was a leader in a conspiracy to bring large quantities of heroin and marijuana into Niagara and should face a harsh penalty. “Heroin has been described as a pernicious, dangerous, highly-addictive drug that often ruins the lives of those who use it,” the judge said Wednesday in a Superior Court of Justice in St. Catharines. The judge said McGean was not a drug addict himself, but someone out to make a profit. The 45-year-old was sentenced to 11 years behind bars but was given credit for the 1,000-plus days he had spent in pre-trial custody. Once the pre-trial custody was factored in to the sentence, he was left with a seven-year, one-month jail term. 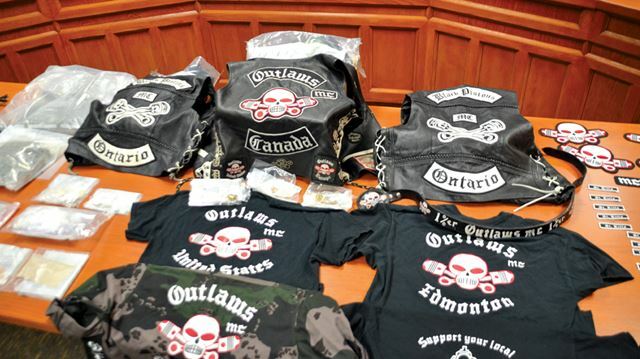 Materials seized by police during Project Resurgence, a 2013 shake down of MC's in Niagara. During an earlier court appearance, McGean was convicted on eight charges including trafficking in cocaine and heroin, conspiracy to traffic, and weapons-related charges that involved a taser and a switchblade knife. Federal prosecutor Tanit Gilliam had sought a 14-year sentence, saying it was an appropriate disposition for someone like McGean, who has an extensive criminal record including four previous drug convictions. McGean and a number of other individuals were arrested following a seven-month Niagara Regional Police investigation dubbed Project Resurgence. Items seized included $70,000 in cash, $150,000 worth of vehicles, marijuana with a potential street value of $18 million, $30,000 in heroin and some weapons. The Black Pistons had set up a clubhouse at 80 Page St. in St. Catharines. 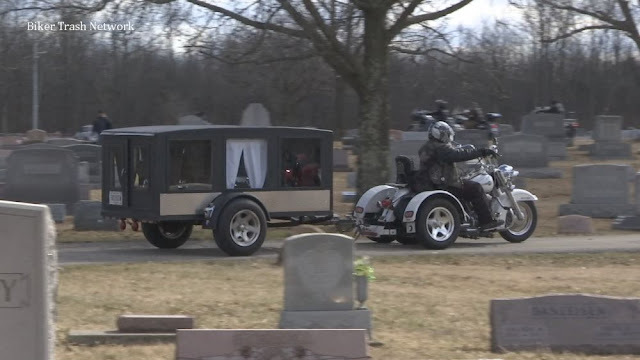 Some of its members were preparing to be patched over as full-fledged members of the Outlaws, another motorcycle club.